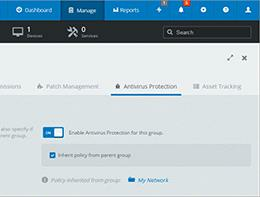 The patch management element of GFI OneGuard allows you to scan the network for all connected devices, check what software is installed, detect any missing patches, broadcast updates when and where you see fit. 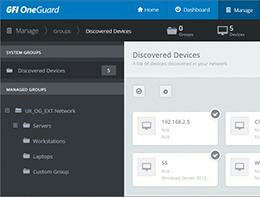 GFI OneGuard makes it easy to identify and track every connected device on your networks anywhere in the world. 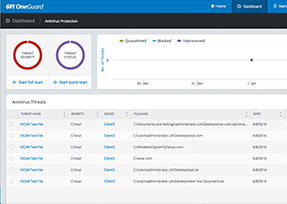 Assess and control sensitive information that travels across endpoints by scanning all files for information susceptible to a security breaches. 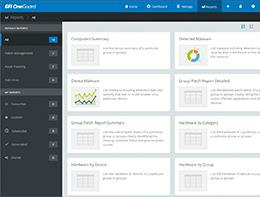 Reporting is the one way you can make sense of masses of data. Whether you need to analyse resources, report on hardware or software, prepare a business case for upgrades or a multitude of other reasons, the reporting engine in GFI OneGuard can provide it. Lack of communication/alerting on system events, outages or downtime will be a thing of the past with GFI OneGuard’s messaging tool. 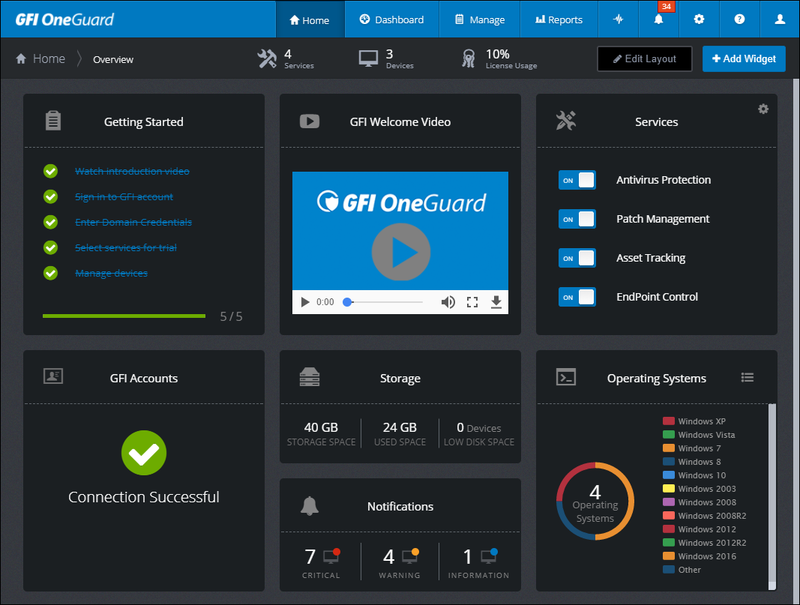 One of the major advantages of using GFI OneGuard vs. traditional point solutions is that as an administrator, you also gain from much simplified licensing procedure. 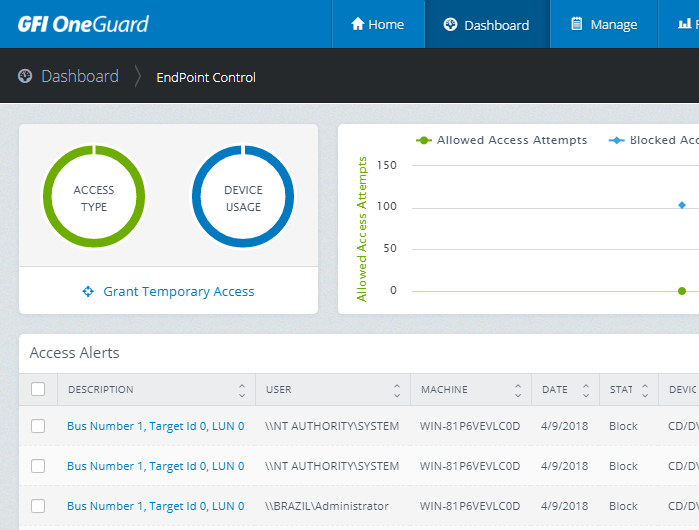 Administrators have the ability to remotely force shutdown a machine, and GFI OneGuard takes care of alerting the users and giving them notice as well as a countdown when the action will be taken. If you'd like to have a chat with us about GFI OneGuard, please select this option. If you'd prefer to email or phone us, our details are also here.